So he's not as sinister as Mr. Bradbury's Illustrated Man, but all he had to work with was stickers. Poor child has no toys, has to resort to boxes and stickers. 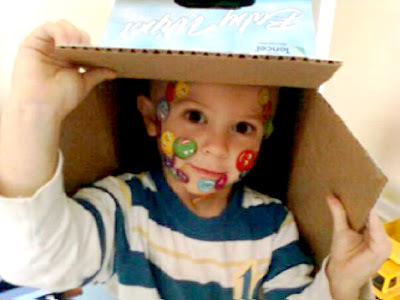 We have a garage full of boxes--most popular toy in the house.